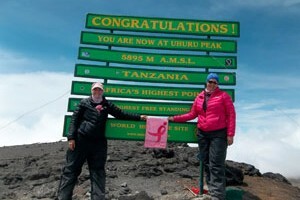 Inspired to hike Kilimanjaro in honor of fellow breast cancer survivors, Tusker trekker Donna Boehm reflects on what “Upkili for Breast Cancer” means to her. I walked away feeling a great sense of accomplishment, not only because I reached the summit – but because I had fun doing it. I enjoyed every day and every moment on the mountain. I was inspired by its beauty, the strength of my teammates and the spirit of the Tanzanian Tusker team. It was truly the experience of a lifetime…and I am so glad I did it with CARE. 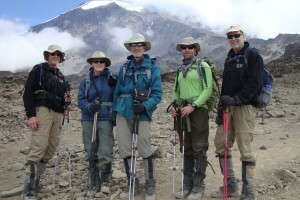 Sterling Rollins climbed Kilimanjaro with his family when he was 15 in 2010. Have a look at his eloquent account of the climb, written recently at age 17 for his English class. Despite being the “golden” group member, Jim O’Brien regales over his Kilimanjaro climb, foggy summit and all.